Why should you explore our services? One word says it all: reputation. For over 20 years, we have been offering the software and bookkeeping training that businesses need to run efficiently. We know what small and mid-sized businesses need to succeed when it comes to accurate record keeping. Our recent affiliation with Intuit as QuickBooks Enterprise Solution providers only adds to the value of our services for smaller businesses in an increasingly competitive marketplace. 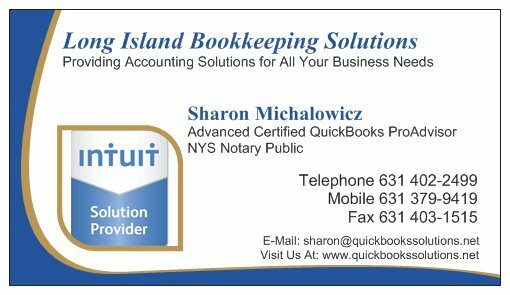 We proudly serve New York, Manhattan, Queens, Brooklyn, Suffolk, Nassau, New Jersey, Connecticut, and most states throughout the U.S.
Sharon Michalowicz is the owner and creator of Long Island Bookkeeping Solutions. She has a true passion for helping others. In fact, this is what inspired her to start this company. 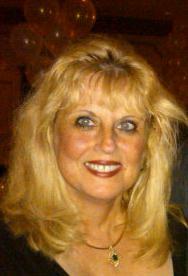 Sharon has over 25 years of experience as a full charge bookkeeper. She has the ability to tackle even the most challenging bookkeeping situations, including poor organization of existing records. Sharon has the experience you need to get your financial and business records in order. As a certified QuickBooks Pro Advisor, Sharon has the Intuit training and QuickBooks training you need to efficiently run your business. Sharon has assembled a fully trained and highly qualified staff to help you find bookkeeping solutions that produce the results you desire. Richard Kennedy is the Office Administrator and QuickBooks ProAdvisor at Long Island Bookkeeping Solutions. With over 25 years of experience in various financial positions, “Ric” has extensive knowledge in Accounting and Bookkeeping. He is fully prepared to assist his clients in finding the right solution for their business. Ric is well versed in the Real Estate, Manufacturing, Medical and Service Industries. His goal is to help his clients create and maintain clean, concise, and accurate financial records. He strives to have his clients feel comfortable when meeting with their Bookkeeper. 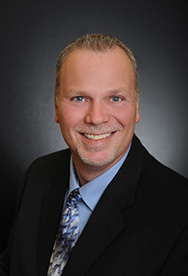 Ric is just one of the many pros we are pleased to have on our team of experts. He is ready to offer affordable and practical solutions for you. Give us a call at (631) 379-9419 and mention you discovered us through this website, and receive a free hour of training and / or services.